The dreaded little insects have invaded your kitten! Before you reach for any flea medicine for kittens, read these instructions. There aren’t many things cuter than a kitten, but imagine your shock when playing with your new pet and finding fleas. These little bloodsucking insects can cause major problems for kittens and need to be removed. Fleas can make a new home on your kitten in many ways, even in indoor cats. The mother may have fleas, the kitten may have picked them up outside, or sand tracked indoors can even contain fleas. As soon as you notice there are fleas either in the house or on a pet, take action. A flea infestation can cause anemia in kittens. Check that the gums are pink since this condition can be deadly, and bring your kitten to the veterinarian if you notice a discoloration. Fleas can also cause excessive scratching and skin irritation. Kittens are especially delicate, and some treatments are not safe. Follow the advice of your vet. Also, never use medication designed for dogs or adult cats — these could be deadly to a kitten. If you are removing fleas from a newborn kitten: Treat the mother and remove the fleas from the kitten. They are small so there isn’t a large area to cover, and you should be able to remove them with your fingers or tweezers easily. 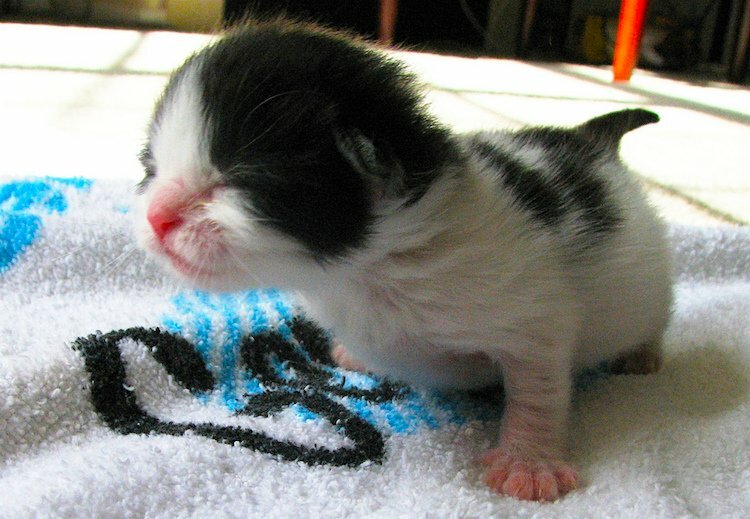 Because of their age and fragility, don’t apply any type of detergent or medication on newborn kittens. 1. Dampen the kitten’s coat. First, dampen the coat with warm (not hot) water. Fleas will run for the driest area of the kitten, so it is not unusual to see them swarm to the head and facial area. If you can grab these fleas with your fingers or tweezers, drop them into a cup of hot, soapy water. 2. Comb out the fleas while the fur is damp. While the kitten’s fur is still damp, go over the kitten with a simple flea comb. Again drop any fleas into the cup of hot, soapy water as you find them. Repeat this sequence — dampening the kitten’s fur and using the flea comb — daily as needed. 3. Clean the bedding or blankets. Place the dry kitten in an area free from fleas and grab a plastic bag or trash bag. 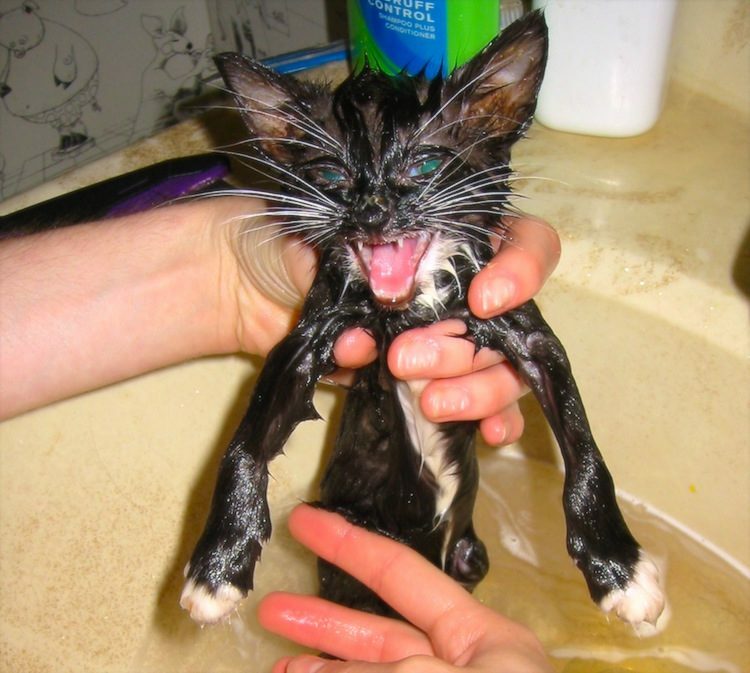 Gather up all bedding and fabric the kitten may have come in contact with and wash them in hot water. Vacuum any areas the kitten has come in contact with, and treat any other kittens (or the mother, if present and also carrying fleas). It’s important to clean the environment as well as the animals — otherwise, the fleas will be a persistent problem. 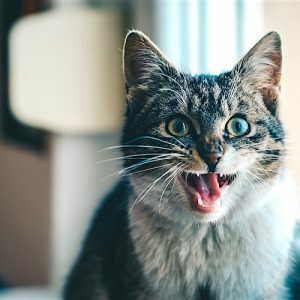 What About Flea Medicine for Kittens? 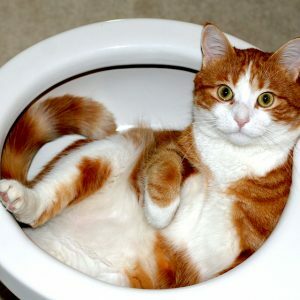 There are medications readily available to treat the mother or adult cat. Medications for kittens are determined by age and can be deadly, so it’s important to check with your vet before applying anything. Newborns need manual flea removal, but kittens over 4 weeks old may be treated with Capstar (there is a minimum weight requirement). This application kills the adult fleas but not their offspring. Other medications list 8 weeks of age as a minimum. 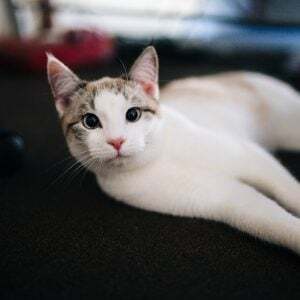 Natural, homeopathic or essential oil treatments may harm your kitten, so avoid using these, especially if you haven’t consulted your vet first. Fleas are pesky, tiny insects and multiple washings and cleanings may be necessary. Even after the initial treatment of your kitten and home, you may still see a few sneaking around. Kill or remove the fleas as soon as you see them, and keep checking your kitten to make sure the fleas don’t move back in. As your kitten gets older, you will be able to switch to topical treatments — but until then, stay vigilant and treat on the spot. This pet health content was reviewed for accuracy by a veterinarian, Dr. Pippa Elliott, BVMS, MRCVS. It was last reviewed and updated Oct. 13, 2018.